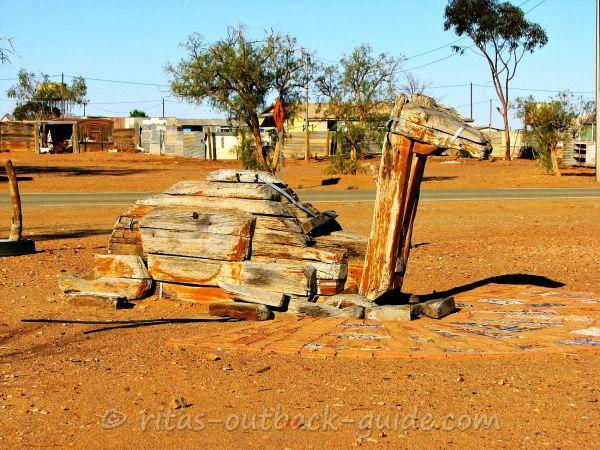 Marree is a fascinating tiny settlement in Outback South Australia. 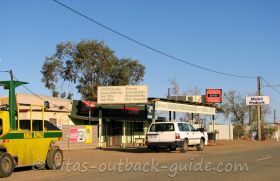 The town is situated on a barren gibber plain a few kilometres from the Hergott Springs which gave the town its initial name. Marree is only about 685 km north of Adelaide, but it seems to be in a different world. 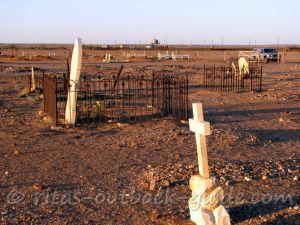 Despite the desolate surroundings it is a good place to stay before you go on either the Oodnadatta Track or the Birdsville Track. 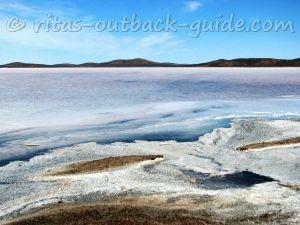 Marree's proximity to Lake Eyre also attracts many visitors, especially when there is water in the usually dry lake. It can get fairly busy then. Believe it or not, this is one of my favourite towns in South Australia. 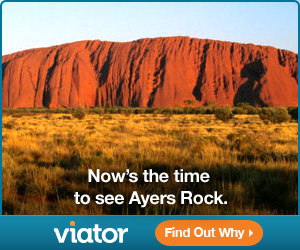 Actually, I already visited this wonderful place three times, and it never bores me. There are always changes, good and bad, but I am convinced the locals will continue in their struggle for keeping Marree on the map. 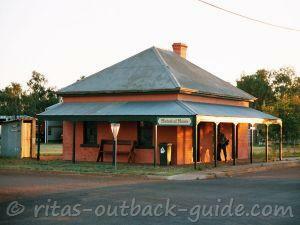 You can easily spend a day or more exploring the relics of the town's heydays as a thriving railway settlement. The history of these remote villages fascinates me a lot. Take your time, relax and have a chat with the locals and fellow travellers. Pictured is the railway station in Marree, or Hergott Springs as it was called until WWI. Then German resentments made the change of the name. John McDouall Stuart explored the area in 1859. In Stuart's group was the German botanist Joseph Albert Herrgott, who discovered the springs near today's Marree. Stuart named them Hergott Springs. A camp near the Hergott Springs was built to support workers on the Overland Telegraph Line in the 1870s. 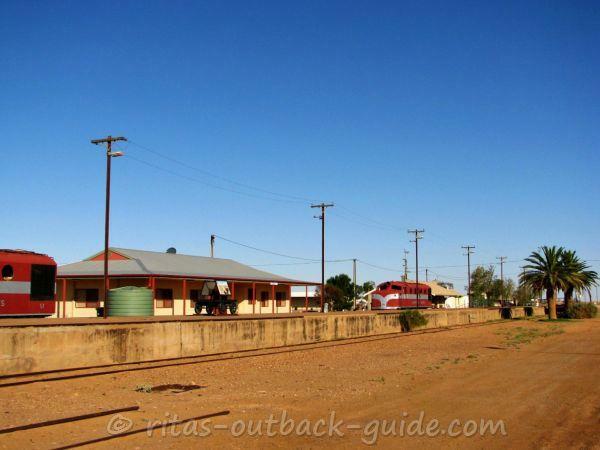 When a town was established in 1883, it was given the name Marree. 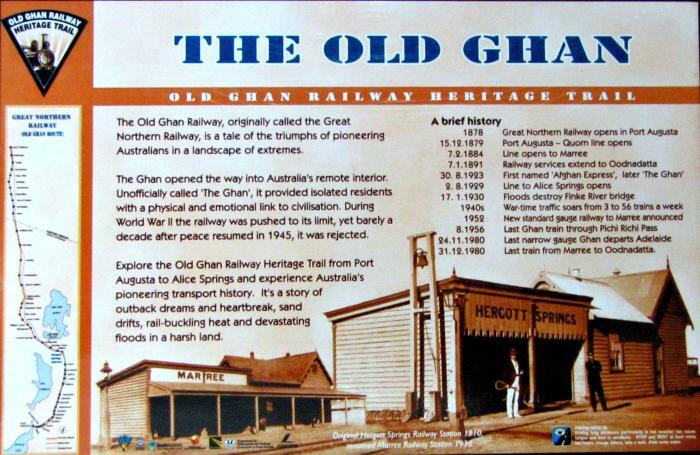 When the Ghan Railway reached Marree in 1884, the settlement developed rapidly to a population of 600, and into a major centre in the area. The railway station was still called Hergott Springs until 1916. Fettler cottages were built for railway workers. They are the oldest surviving railway buildings in town. Cattle was driven down from Queensland and the Northern Territory and then transported to Adelaide by train. Camel trains carried supplies from the railhead to stations and settlements further north. A large community of Afghan cameleers and their families settled in their own "Ghantown", and the first mosque in Australia was built (1862). These Afghan cameleers played an important role in opening up the harsh inland of Australia. Some of their descendants still live in Marree. 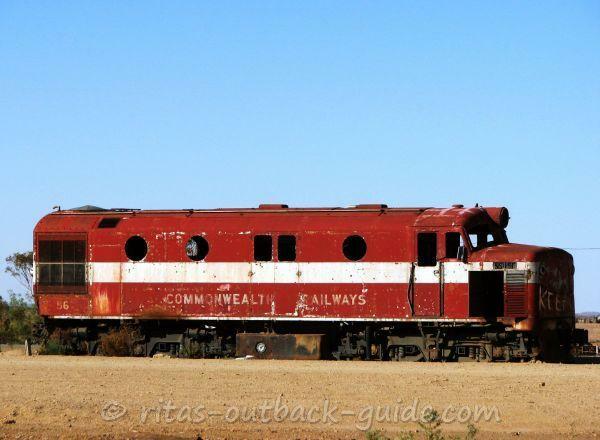 When the Ghan railway line was replaced 200 km to the west in 1980, the town's population went down to around 100. 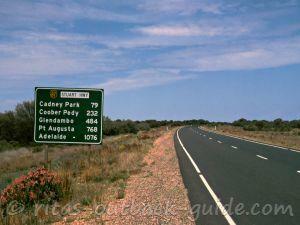 Thankfully, Marree is still on the map today, and a wonderful place to stop for adventurous travellers to the Outback. 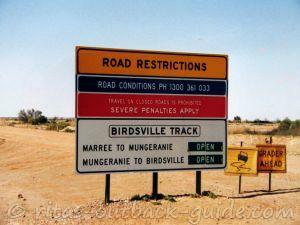 Marree has a hot & dry climate. Summers will be very hot, with average maximum temperature over 30°C from November to March. More than 40°C is not uncommon during summer. Winter has warm days and cold nights. The rare rainfalls can happen any time during the year. Although there are only 30 rain days on average per year, the heavy downpours can close roads in the area. 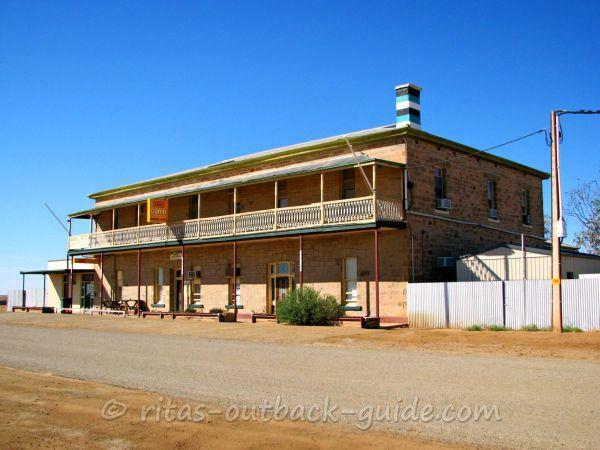 The Great Northern Hotel (1883), also called Marree Hotel, is the oldest stone building in town. 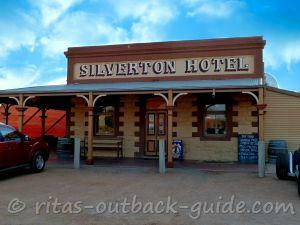 Don't miss the opportunity of having a cool drink and a chat with the locals in this unique Outback pub. The hotel also has air-conditioned rooms with ensuite and shared bathrooms. Museum Park opposite the hotel has a collection of memorabilia right in the town centre. 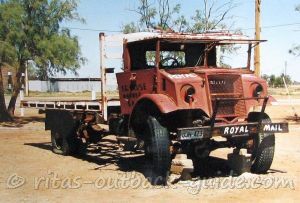 See the old mail truck which Tom Kruse used for many years to bring the mail from Marree to Birdsville. There are also information boards about the great Australian basin, and the mound springs that supply water in this region. Railway station - You'll be surprised to see the huge concrete platform in a tiny town like this. Imagine how busy the station was when a train arrived once or twice a week. 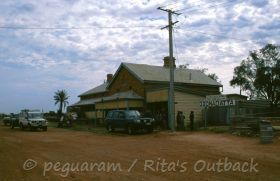 The railway was the connection to the bigger towns down south, a true lifeline for people in the remote Outback. 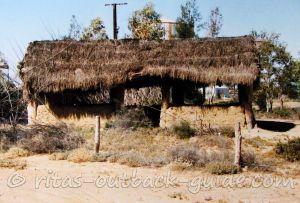 A replica of an Afghan mosque, made from bush materials, reminds on the early days of the Ghan town. Descendants of those Afghan cameleers, who helped to build the Overland Telegraph and the Ghan railway line, live still in town. Unfortunately, the mosque was pretty much fallen apart on my last visit. Hopefully it will be restored one day as a wonderful reminder of the past. The Camel sundial is made from old railway sleepers and shows the exact time! It's another reminder on the Afghans, Australian camels, and the impact the had on developing the Outback. 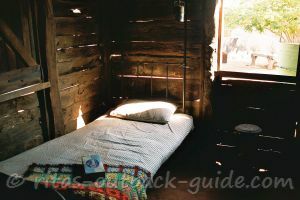 Arabunna centre - The museum and community centre of the local Aborigines is worth a visit. 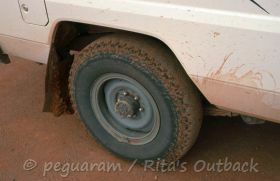 Arabunna Aboriginal tours, operated by Reg Dodd, show visitors the natural and heritage beauty of the Lake Eyre region and the Oodnadatta Track. Don't miss to visit the Hergott Springs and the cemetery, both are only a few kilometres drive from the town. 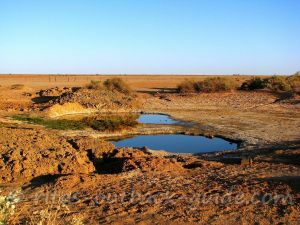 Hergott Springs, one of many artesian springs along the Oodnadatta Track. The artesian springs helped the early explorers to push further into the Australian Outback. The cemetery is a place of special interest. There are three sections which represent the town's cultural groups: European, Aboriginal and Afghan. It is still in use. Drive outside town to feel the isolation and loneliness. Marree's wide streets wear off in the desert, you just feel overwhelmed by the immense vastness. Events in a small and remote town like Marree attract locals and visitors from far away. Be sure to make reservations for accommodation when you want to visit one of the following events. Marree Picnic Races and Bronco Branding held on the Queens Birthday long weekend in June, with the Bronco Branding following the next weekend. The Camel Cup held on the first weekend in July. Since Marree was once known as "little Asia", the annual Camel Cup reminds on the Afghan history of the town. Marree Gymkhana & Motorkhana, held on the June long weekend, is a fun weekend for for the entire family. 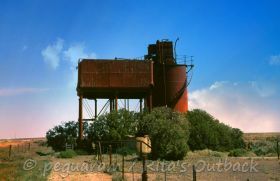 I hope you enjoy Marree as much as I do every time I visit this fascinating town. 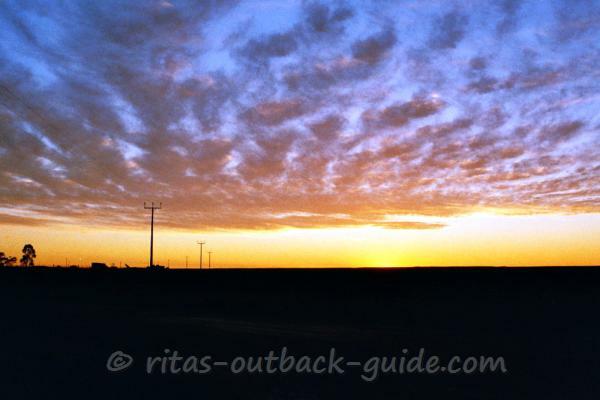 Find the next steps along the Oodnadatta Track below, or click here to continue on the Birdsville Track. Wherever you go, take your time, and safe travels. Don't miss the articles below which give you many more details about the route. 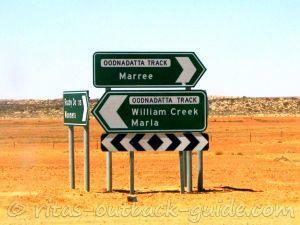 The first section of the Oodnadatta Track is in my opinion the most diverse part of the track. Lake Eyre, mound springs, several ruins of former Ghan railway sidings are among the highlights. 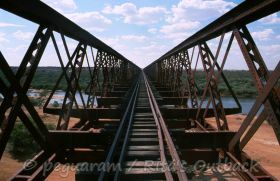 See more relics of the Old Ghan, including the huge Algebuckina railway bridge. 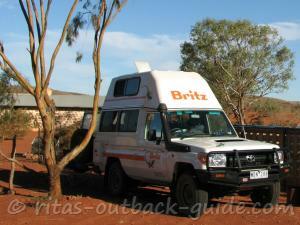 First discover Oodnadatta, before you go on the last leg of the track. 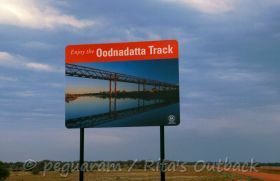 Both the Ghan and the Overland Telegraph Line leave the track north of the township Oodnadatta. 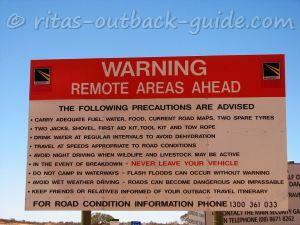 Road conditions along the Oodnadatta Track. 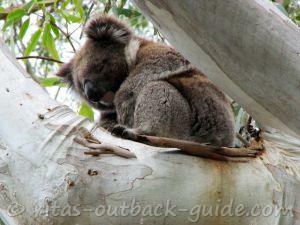 Don't forget to read this page, it also includes useful tips by Outback Guide readers. 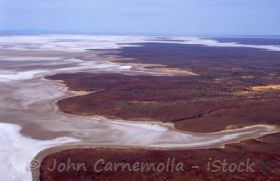 Read about Australia's largest lake which only fills with water every couple of years. Get the latest water status of the lake. 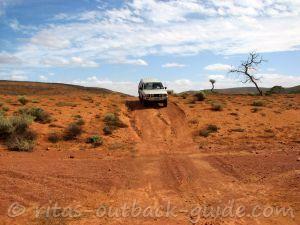 Enjoy this most interesting track in the South Australian Outback. Below you'll find more useful articles to help you plan your journey.